The famous Blue Apron meal kit service was going through a rough patch for the best part of 2017. However, it seems that it is now slowly getting back on its feet and returning its old glory with exciting additions to its menu that its loyal customers are sure to love. To make it easier for its fans around the nation to turn over a new leaf and make 2018 the year of healthy eating, the service has decided to introduce Whole30 meals into its already rich weekly offer. At the moment, Blue Apron claims that this is only a limited-time offer. However, if the customers show sufficient interest, there is a chance that Blue Apron will make Whole30 meals a part of its standard offer and consequently turn into one of the finer Whole30-approved meal deliveries. These are the most important details about this novel offer. The service plans to offer Whole30 meals in the weeks from January 8 to February 26. Every week, there will be 2 Whole30-approved meals available on the 2-Person menu. We took a look at what the chefs have planned for the upcoming weeks and we can say that the meals are no less creative and impressive than other fabulous dishes on the Blue Apron menu. They include Mexican-spiced barramundi, Togarashi chicken lettuce cups, chicken and kale-orange salad, seared steaks and warm lemon salsa verde, baked cod in tomato sauce, and many other delights. The meals come at the same price as any other meal on the 2-person menu – $9.99 per serving if you order 3 recipes or $10.99 per serving if you order 2 recipes per week. 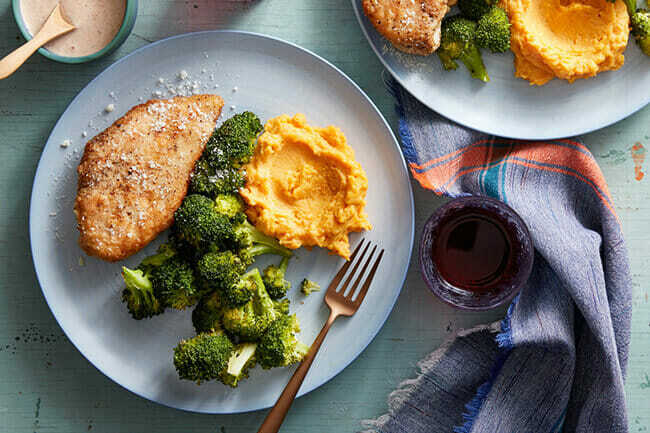 Keeping in mind that getting used to Whole30 can be quite tricky, we are certain that this interesting innovation will be welcomed by a whole lot of Blue Apron customers who are trying to shed pounds now that the holiday season is over.